GBP is gaining momentum by the UK government bond yields growth and the oil price which will have a positive impact on this asset therefore GBPUSD will remain bullish within the ascendant channel at the current moment as the EMA of 10 is crossing the EMA of 50. 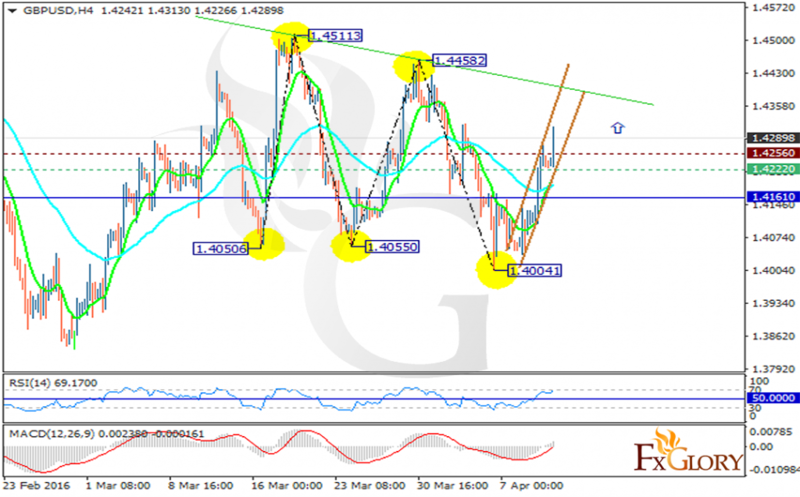 GBPUSD is finding support at 1.42220 with resistance at 1.42560 which both are above the weekly pivot point at 1.41610. The chart is creating a zigzag pattern leaving new highs and lows as market in the picture; however, the new highs are getting lower and lower. The MACD indicator is in positive territory showing the price correction and the RSI is above the 50 level confirming the bullish trend. As the pair has already broken the resistance level, it may move within higher ranges. Long positions are recommended for now.